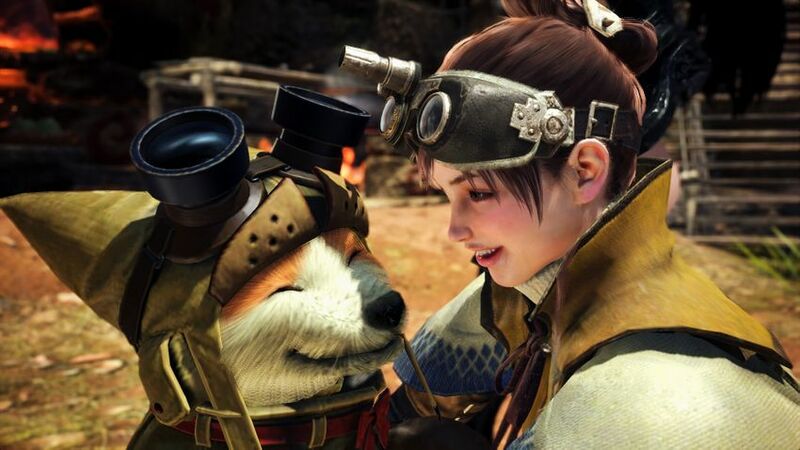 Ever since Monster Hunter World released on PC in August of this year, we have been very proud to host the modding community for one of Capcom's most popular games of all time. In the few months that Monster Hunter World has had a home at Nexus Mods, we have seen a massive surge of mods created by our community. 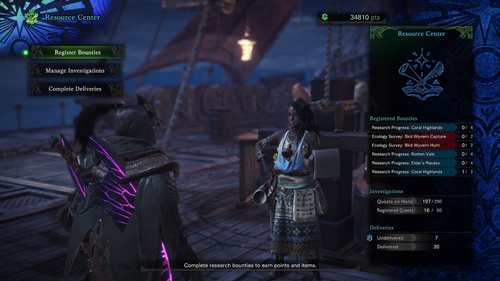 We are, therefore, very excited to talk to MHVuze today - one of the modding pioneers for Monster Hunter World who has contributed various tools and quality of life mods for our community. BigBizkit: Thanks, MHVuze, for taking the time to answer our questions. Many modders of Monster Hunter World will know your creations, but could you tell us a bit about yourself first to start this off? MHVuze: Thanks for having me! I'm a 24-year-old from Germany working in law. I've always had an affection for tuning games to my liking and one of the first games I can remember modding is SpellForce 2. If I recall correctly, it had an official Editor / Mod Kit which is something I wish more game developers offered in this day and age. How would you describe the kind of mods you like to create for Monster Hunter World? I would consider the majority of them QoL-improvements and temporary workarounds for game issues such as the texture loading or (now fixed) effect stuttering. I also released and open-sourced WorldChunkTool which allows interested users to unpack the game data files and take a peek at them, as well as WorldProcessTool which allows users to pause and resume the game - features that are unfortunately missing in the vanilla game despite being present in other titles of the series. Ever since launch, the modding community for Monster Hunter World has grown rapidly. Why do you think has the game been so successful both with players and mod creators and what sets it apart from other games in your view? First of all: I'm super happy to see the community thriving on PC. The success of the game itself on PC (and console, too) has gone well beyond my expectations. Same goes for the modding community: I'm excited to see a working 3D model conversion tool and a lot of quality projects by the modders in general. As you might know, this is the first time ever a mainline entry of the Monster Hunter series has made it to the PC platform. The games have always had some weird design choices in the past when it came to a select few aspects and while Monster Hunter World is an incredible improvement in that regard over the older games, there are still some portions that a lot of players would like to experience differently. The by default lacking multiplayer gathering hub serves as a great example of things we modders can improve upon in the PC version. That combined with a relatively low barrier of entry, all things considered, has certainly helped to get people interested in modding the game. 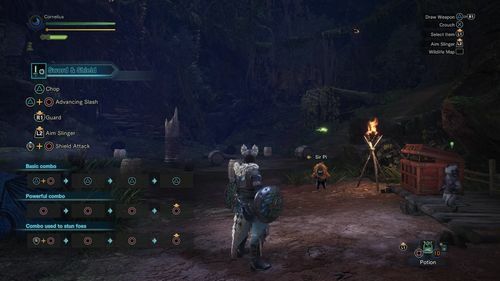 You were one of the first mod authors to jump on creating content for Monster Hunter World. What is it that draws you towards the game and what made you want to mod it? As pointed out above, this was the first time a mainline Monster Hunter game made it to PC, so I was excited to finally have a title that could be tinkered with without the drawbacks of a console (repacking, resigning, long loading times etc). How did you first learn about how to mod Monster Hunter World? Do you have any tips for people who want to get involved with modding? I've been a big fan of the game ever since a friend introduced me to Monster Hunter Freedom on the PlayStation Portable in 2006 - it has been the platform seller for me personally. Unfortunately, the series had a hard time catching on in the west and as such, there were severe delays when it came to the localization of the titles (a bunch did never make it over here at all!). Stumbling across English fan translations, I decided to research how they are done and one thing kinda led to another. Ever since that point I've been dissecting the game files (alongside and with the assistance of some other smart minds, of course). Monster Hunter World was just the natural continuation of that but in fact, I have briefly looked at the PlayStation 4 version before the title was released on PC to get a first look - which absolutely paid off. Dedication and willingness to learn new things are definitely key for those looking to get started. Things will eventually start falling into place and you will start to recognize patterns quickly the more time you spend investigating file formats and the like. Which creation of yours are you most proud of and do you have a favourite Monster Hunter World mod from a different creator? I honestly don't have any creation that I'm most "proud" of but I am quite happy that WorldChunkTool got the modding scene for Monster Hunter World rolling so quickly after launch. As a dog guy, I absolutely adore the somewhat proof-of-concept mod Canine Palico by UberGrainy - I just wish it gained more traction and people adopted the armor sets and sounds for the changed appearance. But it's still early days and it's very cute as is! The app launcher by HelloWorld is also of great use to me. I combine it with the aforementioned WorldProcessTool for example. What would you like to see in the near future in terms of mods for Monster Hunter World, and maybe even in terms of DLC? Adding completely new monsters, equipment and quests is the end goal in my opinion. For now, all mods in those categories are basically just replacing existing used or unused spots left by Capcom. Unfortunately, the game has a lot of stuff hard-coded as well as some sanity checks and so far the modding community is constrained by all of that. Another point is transferring save data from the PlayStation 4 version of the game. That hinges on a more recent version of the PS4 firmware being exploited though and is likely well beyond the control of anyone reading this. I just hope it will be possible soon (with the PS4 version having launched in early 2018, I have my main character on there)! As for official DLC, I am hoping for a G-Rank expansion in 2019. For those unfamiliar, it will add another rank of difficulty with harder quests, new monsters - thereby equip - and areas. What other games do you like to mod? Have you tried your hand at creating mods for other games? Currently, I'm working on dissecting a so far seemingly untouched game of the Monster Hunter franchise. 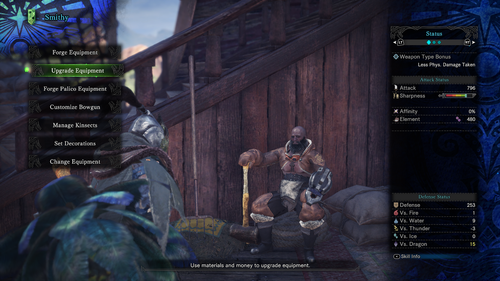 I don't really intend to mod it but am mainly interested in acquiring the assets that are exclusive to it so they could be used in Monster Hunter World, for example. I did create some (personal use) mods for Spellforce - as I pointed out above - as well as The Sims 2 and a few other Monster Hunter games. I also tinkered a bit with God Eater and helped to create the Japanese Voice-Over Dub for the PC version of Dragon's Dogma which can also be found over here on Nexus Mods. I love languages and have started learning Mandarin just three weeks ago, so that has been taking up a lot of my time recently. The rest of my limited free time is spent taking care of our pets, doing a little fitness and watching documentaries or shows. Would you like to say anything to our wider Nexus Mods Community? Thanks for all the positive and civil feedback as well as the generosity expressed by a bunch of community members! 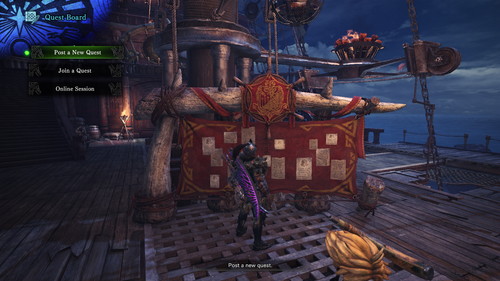 Nexus Mods really is a great platform with talented creators and supportive users, so I am proud I could make a little impact in the Monster Hunter World portion of it. A big thank you to MHVuze for answering our questions. As always, if there's an author or mod project you'd like to know more about, send your suggestions to BigBizkit or Pickysaurus. 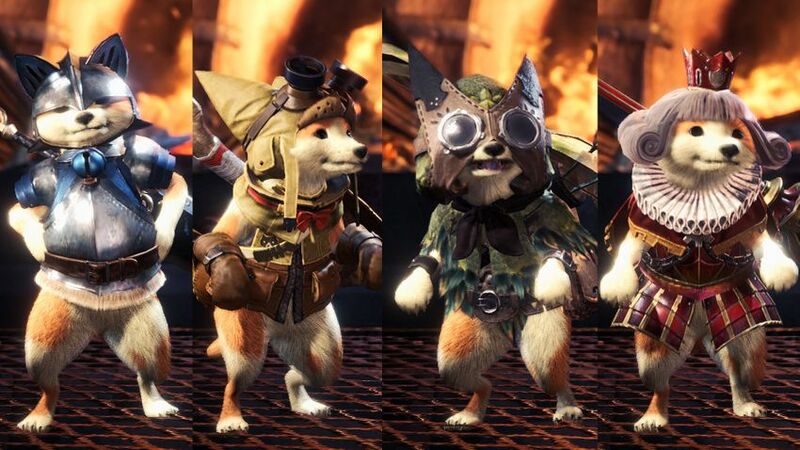 I like the Canine Palico mod. I myself use it too. Nice interview. It's nice to see interviews from modders for games besides Bethesda's, it gives a bit of an inside look into a sector of the modding community that I don't usually see. I'm glad you like the Canine Palico mod.